The founding father of KOMPAN, Tom Lindhardt Wils, believed children unfold their imagination through play and thereby learn and develop their social and cognitive skills. As a young artist in 1970 Tom witnessed an event that made him change the world of children's play. One of his large, bright sculptures placed in a new housing estate inspired children to play on his sculpture although it was intended to be art for adults in the housing area. From that point in time, Tom spent the rest of his life devoted to developing fun and inspiring playgrounds. 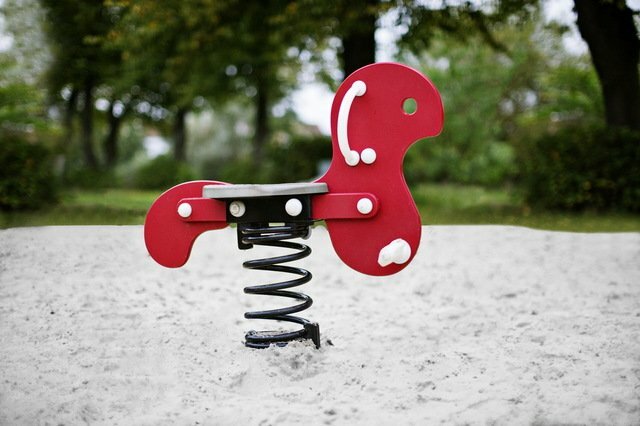 Today, we go beyond playground products and offer play and exercise solutions. Solutions for play and activity that offer fun while developing physical, social and learning skills for people all over the world. Solutions that stand out in making people of all ages and abilities happier & healthier by making and keeping them physically active, enabling them to learn and play together. Tom Lindhart Wils and Hans Mogens Frederiksen established the company Multikunst Legepladser I/S (Multiart Playground) in 1970. Later the name changed to KOMPAN A/S. The word KOMPAN comes from the Danish word "kumpan" meaning "companion" or friend.